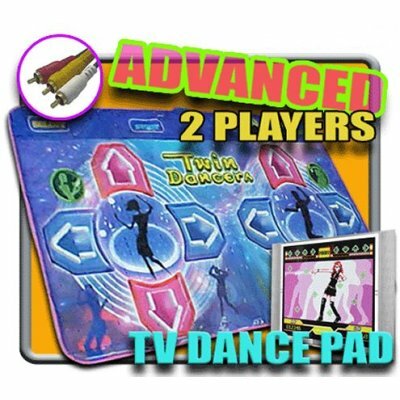 My Family Fun - Dance Dance Revolution Twin Dance Mat Plug Play The popular dancing mat game like you are in an arcade! Dancing now! 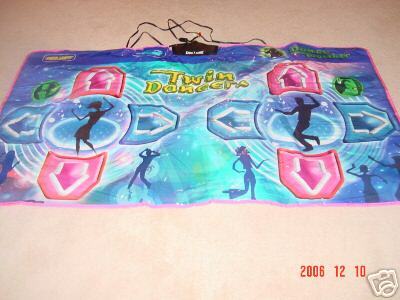 The popular dancing mat game like you are in an arcade! Dancing now! 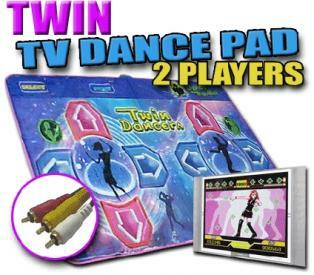 The ultimate dancing game combining fun, excitement, competition, choreography and a great workout with this mat, Dance Dance Revolution! Plug this two-person dancing mat game into your TV and feel like you're in an arcade! 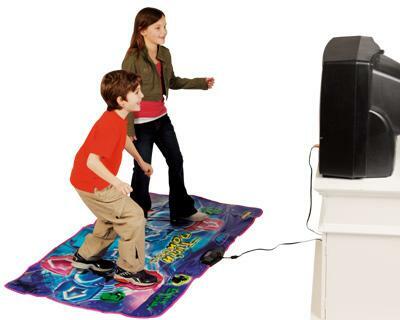 Lay the two-person mat on the floor, plug it into your TV and get ready to dance! Follow what's on the screen and keep those feet moving. Six dancing games, two video games and eight songs are built in. Two modes for 1- or 2-person dancing.